Please click on a trips category related to your interest to see the listings of our most recent offer in the selected category! We are offering exciting adventure. Take one! Visit an interesting place of architecture gems. Learn about historical battlefields, fortresses, commanders and weapons. Are you beer or wine lover? Take a trip to the sea of beer! Huge selection of trips to famous Czech castles and chateaux. Learn more about famous composers in our country. Visit places and museums of famous people in Czechia. Are you interested in your fammily tree? We arrange tour for you. Discover secrets of world famous Czech glass and crystal! Is your time limited? Select one of half day trip of your interest! Learn more about the history of Bohemia. Speciality livestock breaders, ZOO and open space safari, speciality farms and wildlife keepers. Explore a manufacturer of your interest. 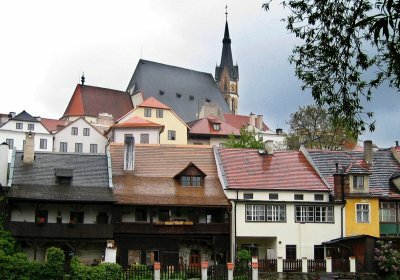 Visit real medieval town in Bohemia! Visit memorial places of WW2, concenration camps and battlefields, antique armouries, fortresses, commanders! Visit a museum of your interest! Select one of beautiful natural area for your visit! Are you planning to spend more time on trips? Select one day lasting country trips! Explore one of famous ossuaries in Bohemia. Select a trip to an interesing place in Czech Republic. Listing of trips related to catholicism, judaism and protestantism. Explore life in famous spa towns in Cechia. Explore underground systems, cellars, mines or caves. Listing of sites protected by UNESCO. Learn more about the sites of WW2.